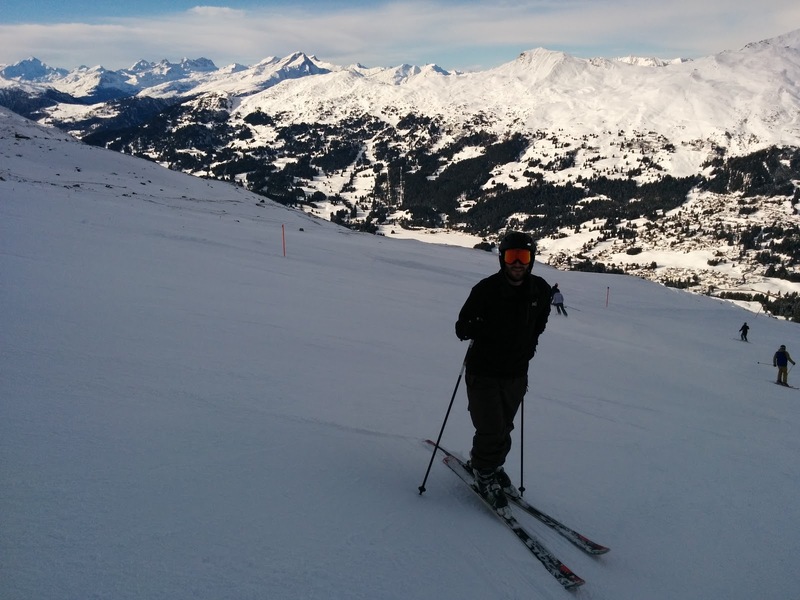 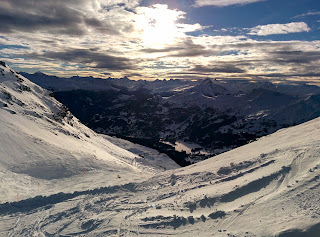 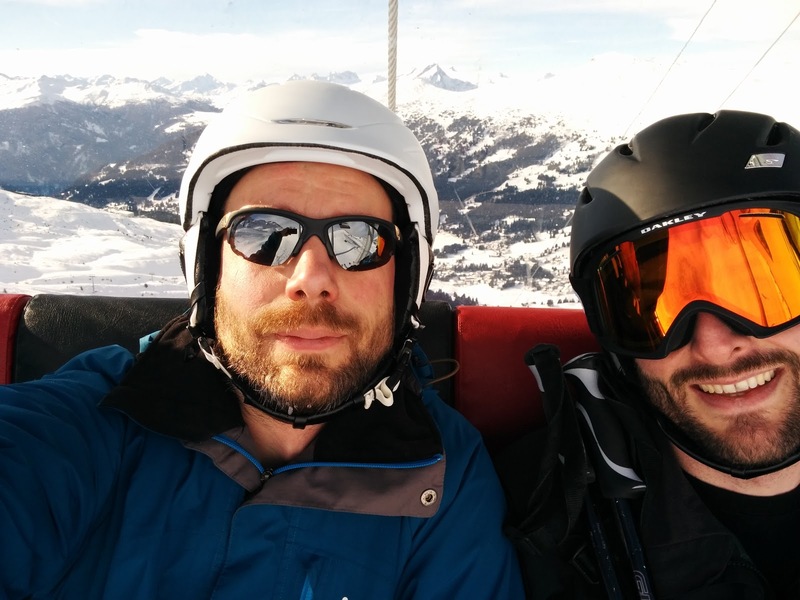 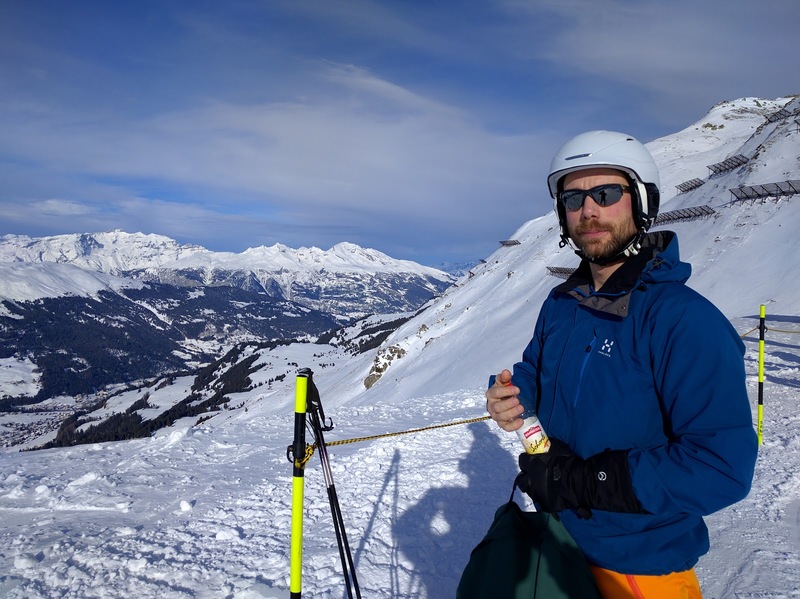 Christian and I spent Sunday skiing in Lenzerheide and Arosa. It was my first time to that area. It's biggish, but seemed to be on the easier side. Also, winter still hasn't arrived and there is very little snow. 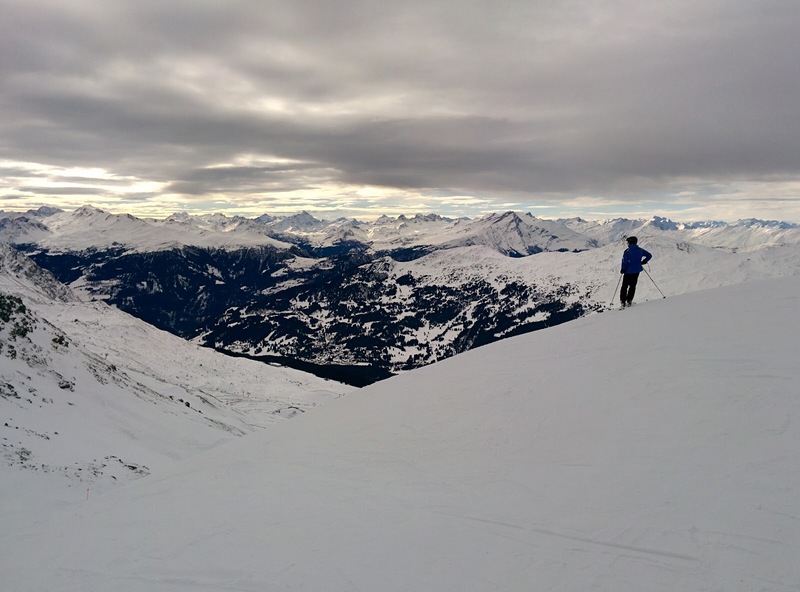 Towards the afternoon we were ice skating rather than skiing. 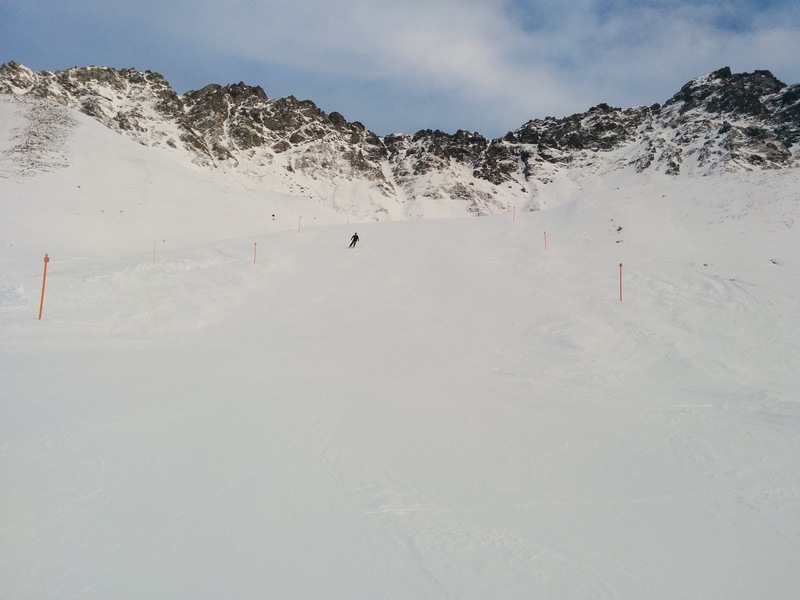 All lifts were running, but a few of the steeper slopes are still closed for lack of snow. 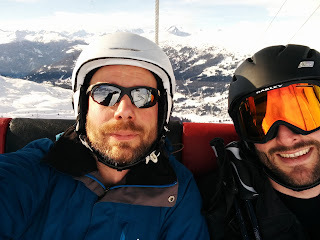 We covered 90 kilometers (including lift rides) and 10.5 vertical kilometers. The images don't do it justice: the sky had very dramatic colors and clouds.